Hello there! Happy Monday, hope you had a nice weekend. 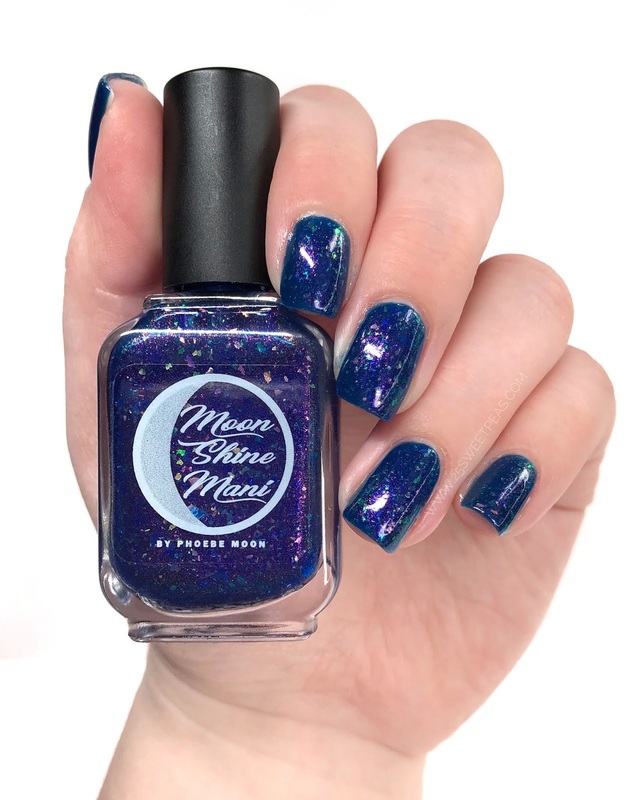 Today I have a new Moon Shine Mani to show you. 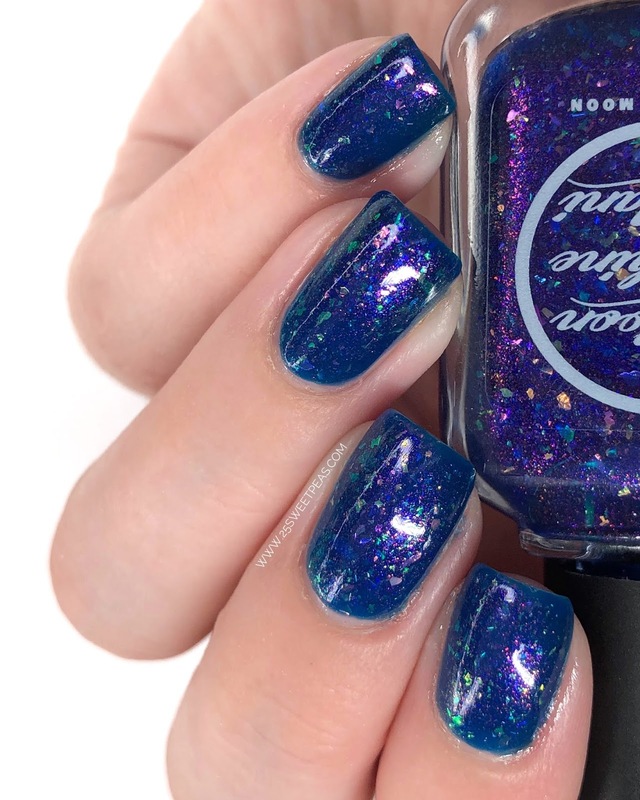 There is a new polish coming out today in celebration of Autism Awareness month, where some of the profits from each bottle will be donated to Autism Research and Studies. So lets take a look! 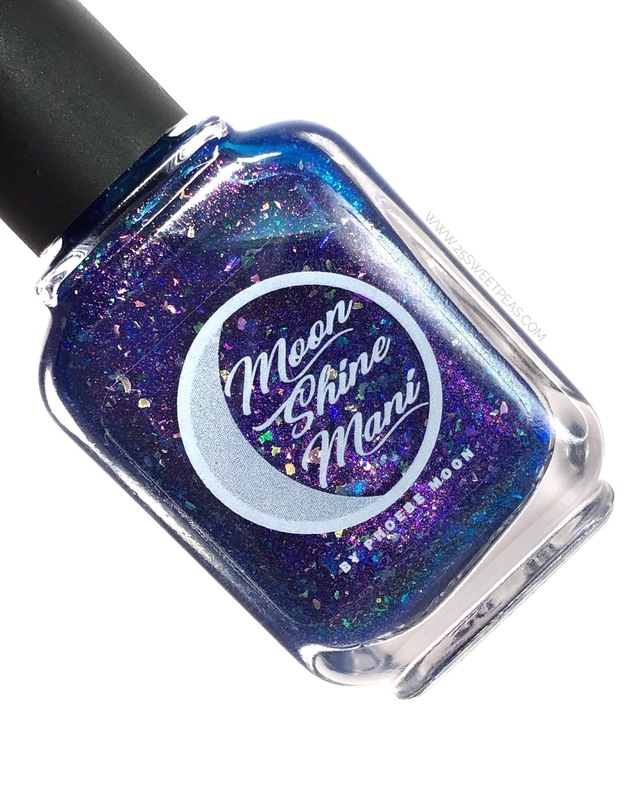 A royal blue jelly base glowing with pink/gold/green aurora shimmer and packed with flakies in the same colors. This polish is lovely! 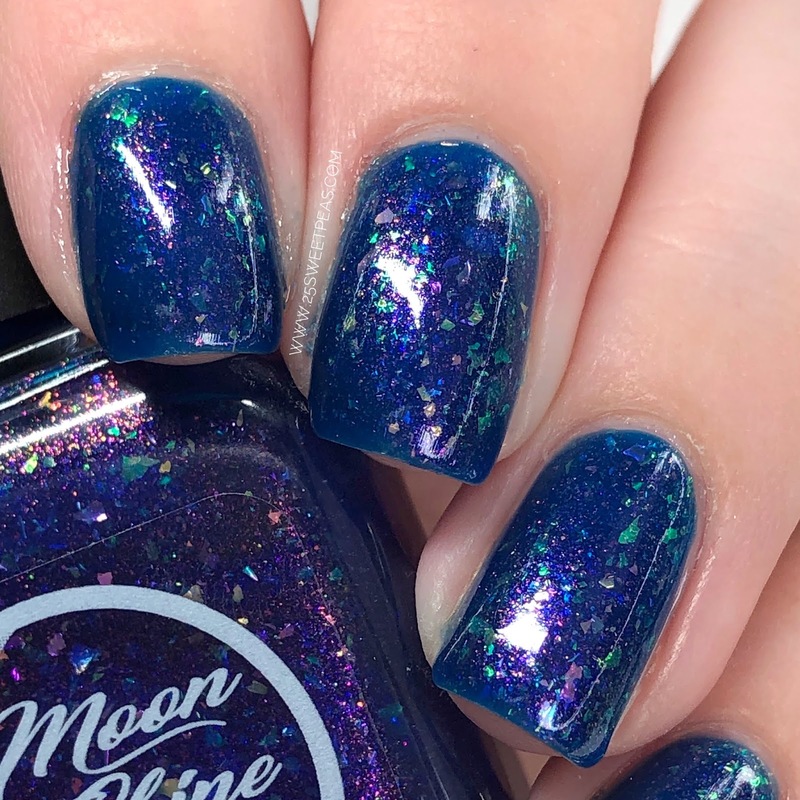 I can't resist a blue like this and all of the elements within it really make for a lovely look on the nail. The formula is very consistent and easy to use, I had perfect coverage in 3 coats. 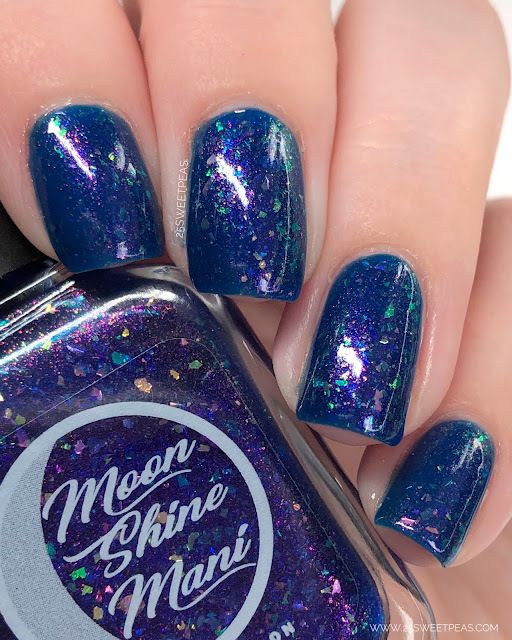 I love the brushes on Moon Shine Mani polishes. So as mentioned earlier a profit from each bottles purchase will be going to Autism research, and studies. The polish will be available today for $12 and should for available along side last years polish called Possibility 2.0 which is probably a little different from last years hence the 2.0 bit due to a discontinued ingredient. If you would like to see the polish swatched you may HERE. Then below is the link to the Moon Shine Mani shop! ::) Hope you enjoyed todays post!